Join us as we explore, discuss and embark together on new levels of awareness with the hopes that we depart more refreshed, energized and inspired. Surrounded by Mother Nature and wholesome meals from local culinary talents, Together We Seek Retreats create a space for women to come together to explore, experience, and connect through ancient practices, alternative medicine technique, storytelling, and meaningful conversations. 4:30 PM – Iridology overview and private sessions for each woman with Kimberly Czech Cassidy, N.D., C.N.H.P. Carol Marchione of Floating Lotus is a Certified Sound Healing & Energy Practitioner. 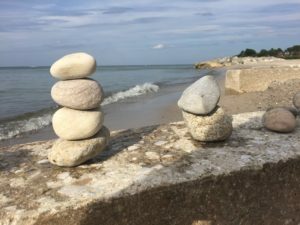 She started her Sound Therapy journey in 2009 when she has healed from a health crisis that Western Medicine was unable to diagnose or correct. She pursued her certification in this ancient healing practice to share the enormous benefits of Sound Therapy with others. Carol is a member of the International Sound Therapy Association (ISTA) and Sound Healers Association (SHA). Her events include Gong Meditations, Sound Immersions, and collaborations including Sound with guided meditations and restorative yoga. 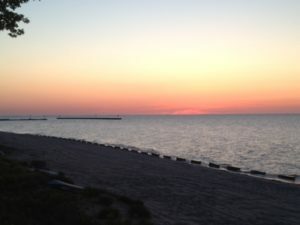 Arrive in Linwood early Friday to walk the beach, meditate in the park or read a book. There are local restaurants, coffee shops, sandwich spots, and pizza places. Please note, all expenses incurred are to be personally covered.